The Michael Schwartz Library, in collaboration with the Center for eLearning, Center for Instructional Technology and Distance Learning (CITDL), and the Center for Faculty Excellence are sponsoring a Textbook Affordability Small Grant to help support faculty who are willing to adopt/adapt an open textbook for a class. Grant Applications are due May 1, 2017. If you want to learn more about Open Textbooks and possibly apply for one of the grants, attend Dr. Glenda Thornton's presentation on Open Access Textbooks on Thursday, April 13. Go to Workshop and Registration details. Attendance will be helpful in applying for a grant, but it is not required. Permanent link to this topic. Posted 2017-03-29 07:26:43. Reply to Lauren_Felder. Categories: Library News. OhioLINK needs to complete some urgent maintenance on the systems that govern access to their servers. This maintenance will take place on Tuesday, March 21 from 7:30-10pm. They are expecting any service outage during that window to be less than 30 minutes. During the outage, however, all OhioLINK services will be unavailable. Permanent link to this topic. Posted 2017-03-20 07:15:46. Reply to Lauren_Felder. Categories: Library News. 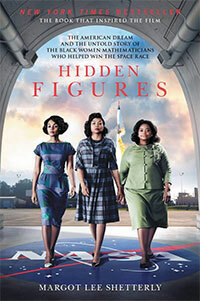 The Office of Inclusion and Multicultrual Engagement and The Friends of the Michael Schwartz Library present a book discussion of Hidden Figures: The American Dream and The Untold Story of The Black Women Mathematicians Who Helped Win The Space Race, by Margot Lee Shetterly. A New York Times number one bestseller. Please register here for this free event. Light refreshments will be served. Permanent link to this topic. Posted 2017-03-09 11:45:38. Reply to Barbara_Loomis. Categories: Library News. Due to a scheduled internet outage, the following Library web services will be off-line from 8 PM - 10 PM on Tuesday March 14th. Other websites that will be unavailable include The Cleveland Memory Project and streaming media provided through Mediasite. Permanent link to this topic. Posted 2017-03-08 08:53:20. Reply to Lauren_Felder. Categories: Library News. 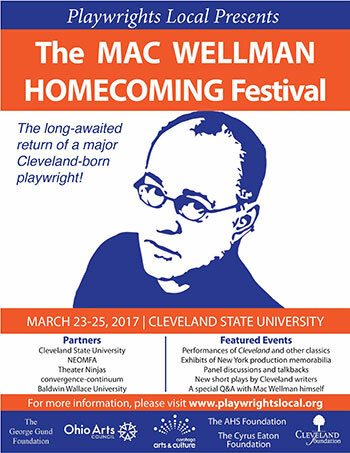 The Mac Wellman Homecoming Festival, March 23 - 25, 2017, is a celebration of a groundbreaking playwright from Cleveland, Ohio, one who is widely recognized as among the most influential voices of the Off-Off-Broadway era. Based for many years in New York, Wellman has authored dozens of plays, with productions spanning throughout North America as well as England, Germany, China, and Japan. In addition, he is regarded as a significant teacher of playwriting, and has impacted many of today's most important emerging writers from his position as head of the master of fine arts program at Brooklyn College. Mac Wellman is a major figure in American letters and an essential presence in the lineage of playwrights from the Cleveland area. The Library exhibit, Damnable Artifacts: Production Memorabilia from the Plays of Mac Wellman, features set models, posters, programs, scripts, props, photos, postcards, T-shirts, and vintage reviews from productions spanning the career of the playwright. All items are original artifacts from the collections of lighting/set designer Kyle Chepulis and graphic designer David Prittie (both of the Flea Theater, NYC) and director/performer Clyde Simon (convergence-continuum theater, Cleveland). The exhibit is located on the first floor of the Library (in Rhodes Tower) and is free and open to the general public (extended through April 9) during regular Library hours. Join us in giving long-overdue recognition to one of Northeast Ohio’s most lauded playwriting products. Schedule of Events. Presented by Playwrights Local in partnership with Cleveland State University Department of English, the NEOMFA Creative Writing Program, and the Michael Schwartz Library. Permanent link to this topic. Posted 2017-03-03 11:32:07. Reply to Barbara_Loomis. Categories: Library News. Showing posts from March 2017 only. Display other dates.